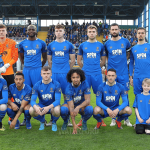 Waterford FC will be hoping to keep its unbeaten home run going in this week’s game against Shamrock Rovers in the SSE Airtricity League Premier Division at the RSC on Friday night when the two clubs go head to head for the first time in the Premier Division since September 2007. 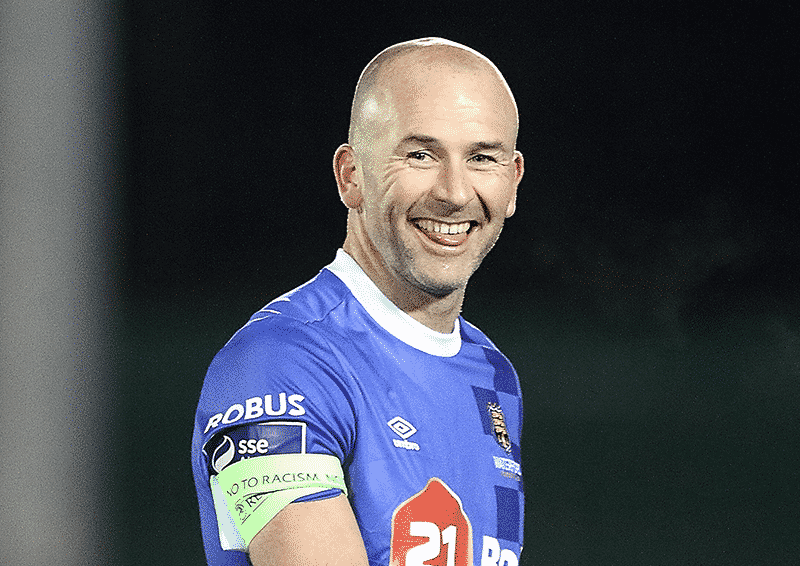 Against a backdrop of historic rivalry between the two clubs down through the decades, Friday’s game will be first meeting at the RSC since the EA Sports Cup quarter final in 2009 when goals from Willie John Kiely and John Kearney gave the Blues a 2-1 win. 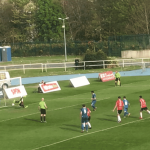 After the disappointment of conceding a late winning goal against Dundalk on Friday night last, the Blues are hoping to bounce back with another home win to go with successes against Derry, St. Pat’s and Bohs. ‘Friday is a special one because there is great tradition between Waterford and Shamrock Rovers down through the years. I have played for both clubs, so I know what it’s like and I’m sure that there will be a cracking atmosphere at the game. ‘We’re lucky to have some of the most passionate fans in the league here in Waterford who continue to get behind us both home and away but it’s vital that they are the 12th man for us during this game. ‘Every game is a big game but especially when you are playing at home because you want to go out and put in a good performance. It’s obviously disappointing that we did not get anything from the Dundalk game but we are hoping to bounce back with a win against Shamrock Rovers. ‘Things have started off well enough but listening to the manager, I know that there is a lot more in us. I think that overall we can perform better. Obviously we are winning games but we’re not getting carried away with ourselves. We have a long season ahead of us so and we intend to hang in there. ‘We know that we have to win our home games and pick up as much as we can on the road and we know that tonight’s game is going to be tough. Our fans have been brilliant both home and away, so I am sure that they’ll get behind us to help us over the line. TEAM NEWS: Waterford FC manager Alan Reynolds will be without the services of Rory Feely who has not trained since being forced off with an injury against Bohemians in the Blues’ previous home game. Izzy Akinade and Stanley Aborah have both sustained injuries in training and have been ruled out for Friday’s clash. Midfielder Bastien Héry is back in light training this week following the injuries that limited his game time against Sligo Rovers and Bohemians and ruled him out of last week’s clash with Dundalk at Oriel Park. Another who player who missed last week and remains a doubt here is striker Courtney Duffus who will be assessed ahead of kick off.